What’s My Error Coin Worth? Coins that have been struck outside the collar that holds the coin in place when it is struck. The coin is incorrectly centered with part of the design missing. 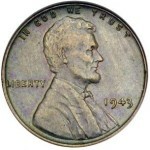 Lincoln Cents (copper) (1909-1982) $5. $5. Steel Cents (1943) $100. $500 – $750. Liberty Nickels (1883-1912) $100-$200. $250 – $700. Buffalo Nickels (1913-1938) $200 – $350. $375 – $450. Jefferson Nickels (1938 – ) $3 -$5. $3-$5. War Time Nickels (1942-45) $50 – $125. $175 – $350. Barber Dimes (1892-1916) $100 -$200. $250 – $350. Mercury Dimes (1916-1945) $50 – $200. $225 – $325. Roosevelt Dimes (1945-1964) $35 – $75. $75 – $50. Roosevelt Dimes (1965- ) $5 – $10. $6 – $5. Washington Quarter (1932 – 1964) $75 – $160. $180 – $300. Washington Quarter (1965- ) $5 – $30. $30 – $100. Franklin Half Dollar (1948-1963) $300 – $400. $400 – $600. Kennedy Half Dollar 1964 $100 – $250. $300 – $400. Kennedy Half Dollar (1965- 1969) $150 – $200. $300 – $400. Kennedy Half Dollar (1971- ) $35 – $60. $75 – $100. Eisenhower Dollar (1971-1978) $200 – $750. $1000 -$600. 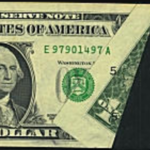 Susan B. Anthony Dollar (1979-81),1999 $50 – $100 $400 – $300. Jefferson Nickels (1938 – ) $1 -$50. War Time Nickels (1942-45) $10 – $200. Roosevelt Dimes (1945-1964) $5 – $150. Roosevelt Dimes (1965- ) $5 – $100. Washington Quarter (1932 – 1964) $25 – $100. Washington Quarter (1965- ) $3 – $75. Kennedy Half Dollar 1964 $10 – $400. Kennedy Half Dollar (1965- 1969) $10 – $75. Kennedy Half Dollar (1971- ) $10 – $60. Morgan Dollar (1878 – 1904), 1921 $45 – ? Peace Dollar (1921-1935) $45 – ? Eisenhower Dollar (1971-1978) $30 – $400. Dies subject to excessive pressure or that are worn will sometimes develop cracks. Cracks appear as raised irregular lines that can distort legends and other parts of the coin’s design. When a piece falls out of the die, coins struck from the damaged die show a raised lump or cud where the design is missing. Value depends on the size and placement of the die break or cud. Indian Cent (1859-1909) $1 – $5. $10 – $30. Lincoln Cents (copper)(1909-1982) .50 -$2. $5 – $20. Steel Cents (1943) $1 -$5. $10 – $20. Buffalo Nickels (1913-1938) $2 – $4. $20 – $35. Jefferson Nickels (1938 – ) .50 -$1. $5 – $10. War Time Nickels (1942-45) $1 – $3. ? Mercury Dimes (1916-1945) $3 -$8. $20 – $100. Roosevelt Dimes (1945-1964) $3 – $10. $20 – $100. Washington Quarter (1932 – 1964) $2 – $3. $15 – $25. Washington Quarter (1965- ) .50 – $2. $8 -$20. Bicentennial Half Dollar 1976 $4 – $8. $25 – $350. Kennedy Half Dollar (1971- ) $1 – $2. $25 – $100. Type one flans have flat edges, type II flans have raised rims, ready for the coinage press. Indian Cent – Copper-Nickel $100. $100. Lincoln Cent – Copper $3. $2. Lincoln Cent – Steel Zinc Coated (1943) $20. $25. Nickel – War Time Alloy $300 $400. Dime – Silver $35. $35. Dime – Clad $1. $2. 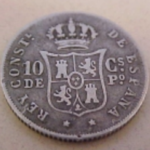 Quarter – Silver $100. $60. Quarter – Clad $10. $5. 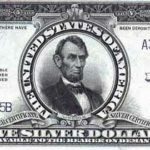 Half Dollar – Silver $60. $25. Half Dollar – 40% silver $125. $85. Half Dollar – Clad $20. $20. Dollar – Eisenhower $50. $50. Dollar – Susan B. Anthony $35. $35. Dollar – Sacagawea $35. $35. A coin with a fragment of metal missing or peeled off the coin’s surface. Caused by dirt or gas trapped in the strip as it is rolled out to the prescribed thickness. 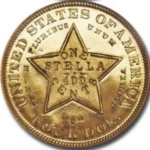 Lamination errors may be missing or attached to the coin’s surface. In the case of clad coins, the outer layer may be completely or partially missing on one or both sides. Broadstrikes are coins that were struck outside the retaining collar.Without the collar the coins spread outand are larger than the normal pieces. If the coin normally has a reeded edge it will be missing from a broadstruck coin. Very wide and well centered pieces will bring much higher prices than the estimates below. Kennedy Half – copper-nickel $40. Copyright © 1997-2019 Robert S. Koppelman, Stan Klein & ROKO Design Group, Inc. All rights reserved.